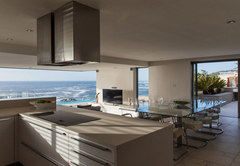 Blue Views Penthouse Two is a property providing self catering in Bakoven for up to 10 guests visiting the Atlantic Seaboard region. 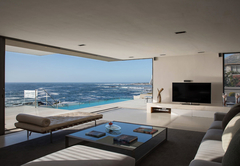 Situated just 100m from Bakoven Beach, Blue Views Penthouse Two offers self catering accommodation for up to 10 guests. 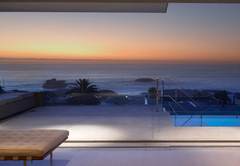 The penthouse offers a unique level of style and sophistication and is within easy walking distance of Camps Bay and Clifton. 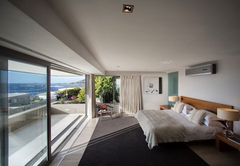 Blue Views Penthouse Two holiday apartment has five en-suite bedrooms, all of which are air-conditioned. 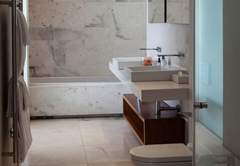 Bed linen and towels are provided as are mini sound systems for all bedrooms. There is an open plan lounge and kitchen area. The kitchen is fully equipped for self catering and includes a washing machine, tumble dryer and dishwasher. The lounge is comfortably furnished and includes a TV and stereo system. 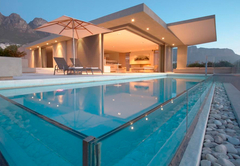 The property boasts a 100m² entertainment area with panoramic views and an eight meter glass fronted pool. 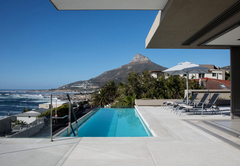 100 meters to Bakoven beach, 1km to Camps Bay beach, 5 minute drive to Clifton beaches, 15 minute drive to V&A Waterfront, 5 double bedrooms, all en-suite, Swimming pool, Air-conditioning in all bedrooms, Double garage, WIFI, Security system, Serviced. Response timeBlue Views Penthouse Two typically responds to requests in 5-10 minutes. 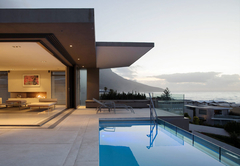 Child policyThe penthouse can sleep up to 10 adults and is not suitable for children.